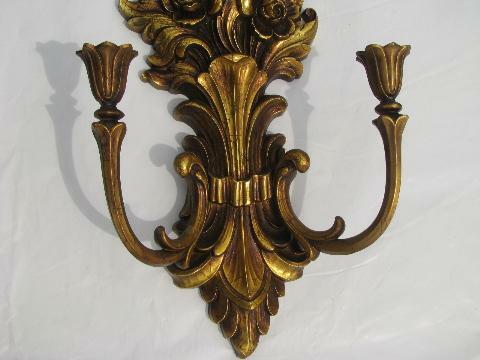 Vintage taper candle sconces, dated 1972. 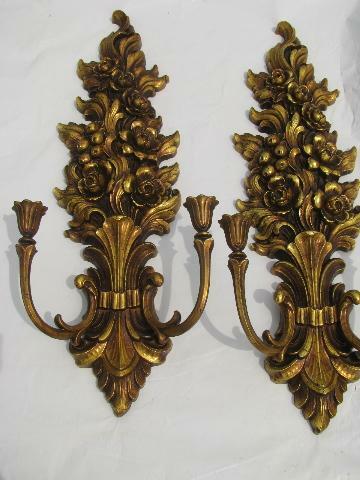 This is a matched pair, both in very nice condition. 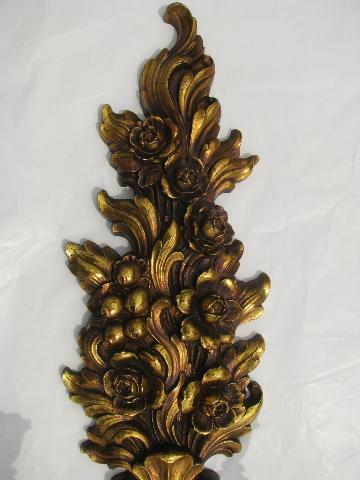 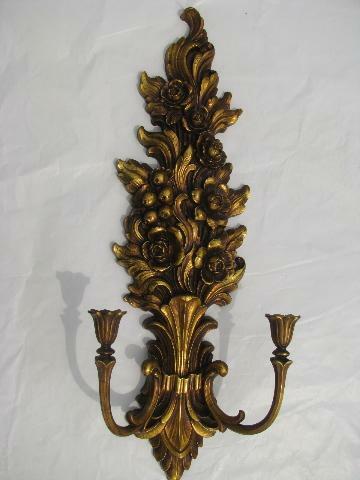 They're about 27" long, with an antique gold crackled finish over plastic, marked Syroco.